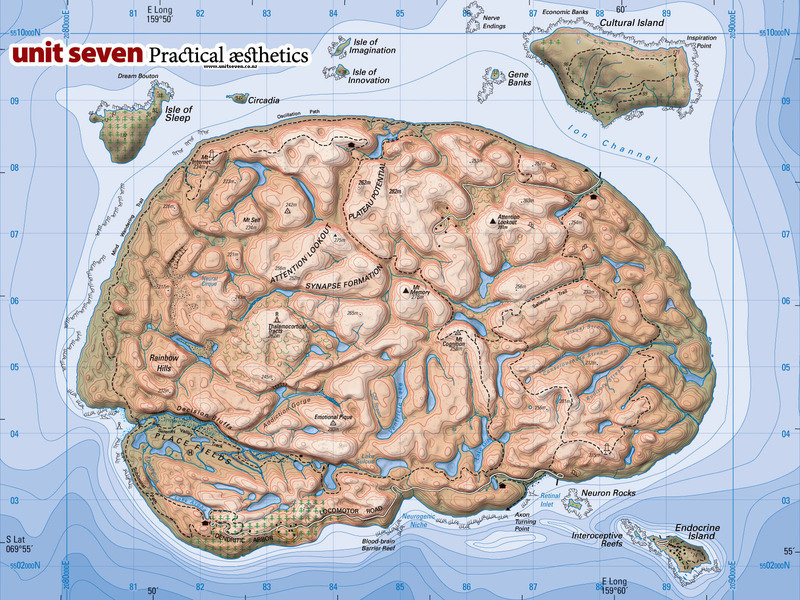 Below is a pretty cool topographical map of a brain from UNIT SEVEN. While it is not to be taken as scientifically accurate, it does serve as a fantastic metaphor for thinking about students’ minds. We know that while the major structures of the brain are largely the same from one cranium to the next, the specific architecture of individual minds varies person to person based on experience. The splendor of minds and their (sometimes confounding) behavioral manifestations, as with ecosystems such as forests, deserts, and wetlands, lies in their variation, not their standardization. The diverse topography of strengths, affinities and challenges evident in each student must be celebrated, embraced, and leveraged to strengthen and enrich our schools, communities, and, most importantly, their learning experiences. In honoring and demystifying their differences, we empower them to discover new vistas, hidden glades, and cascading rivers. Such metacognition helps them “draw” a map of their brain that will serve them as they navigate far beyond the walls of the classroom.